7 Ells of Canvase to make a bed and boulster. 1 Pistoll and Goose shot.Tooles. as Bookes, Nets, Hookes and Lines, Cheese, Bacon, Kine, Goats, &c.
Discommodities of that Country. By Reverend Francis Higginson, London, 1630.
things being wanting in the country. The Old Foodie: Things to do with Dried Apples. Backcountry Militia Drill. Short Video. Google Reader Has Gone Under! Google reader no longer exists, but if you go to the bottom of this Blog, you can follow via Email. I think I am correct in saying that the Sprague house was of Medieval period design, but built in the 18th century. Very interesting. New Image of my Medical Kit. I carry this in the top of my knapsack. Left to right: Salt, bottle used as an eye wash glass, iodine, package containing suture needle, suture thread, & Paracetamol, scissors, tweezers, bandages, tweezers, & forceps. This blog belongs to one of our group members. 18th century Winter Solstice Masquerade Party. Our 18th Century Winter Solstice Masquerade Party will now be held on the 6th of July. 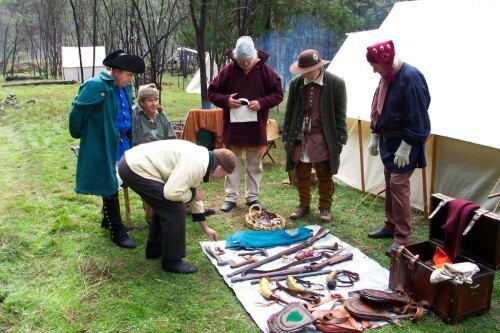 This is an annual social & is traditionally held outside in the gardens of Linstock House in Wychwood Forest not far from Guyra & Armidale NSW. Dress warm for outside, but if it gets too cold we will be moving inside. This event is hosted by our family for club members & friends only. Membership is FREE. Food & drinks will be provided, but please feel free to bring your own if you wish. This event will start about 5 pm. Dress to be 18th century or earlier, or the best you can manage. A blanket can hide modern clothing if you are really stuck. The Algonquins. Showing Woodland Indian Interpreters. Hammock Use In The 18th Century. I received a request for information on the use of hammocks on land in the 18th century. Whilst I have as yet not been able to find any primary documentation on the use of hammocks for camping, I have found some images. When you want to use a particular item in 18th century living history, you must first establish its existence and availability. IF you find that it is possible that your persona could have come in contact with such an item, then you may have a precedent for using that item. 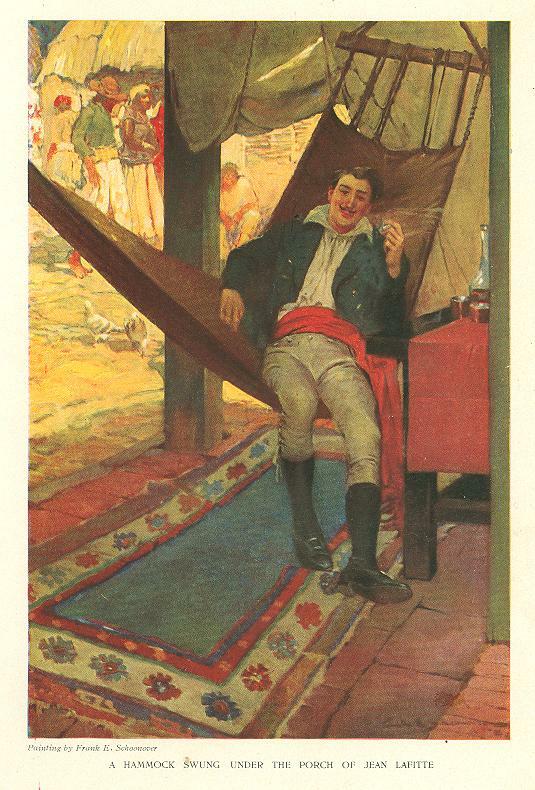 For instance, in the case of the hammock, were you once a seaman? Did you travel on a ship & use a hammock? Where else might you have seen a hammock in use? 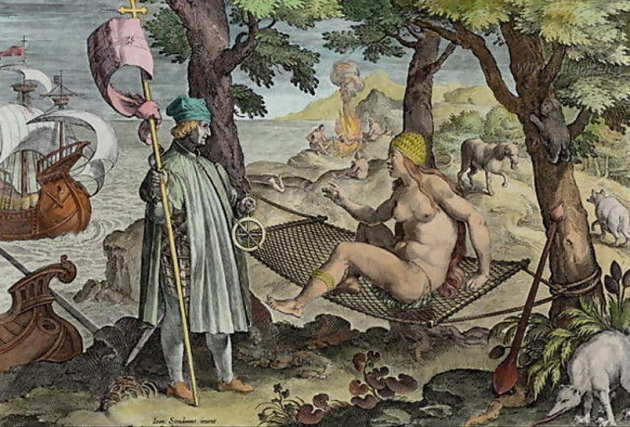 Jan Van Der Straet's "America" 1600 ad. Pirate Jean Lafitte sitting in a hammock. 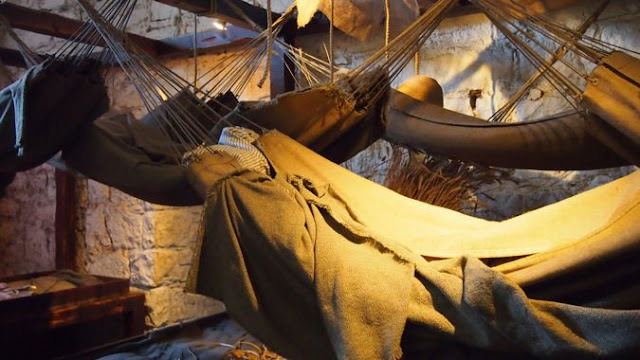 Edinburgh Castle, 18th century (a living history reproduction of hammocks used in the castle). Fort Loudoun Video. 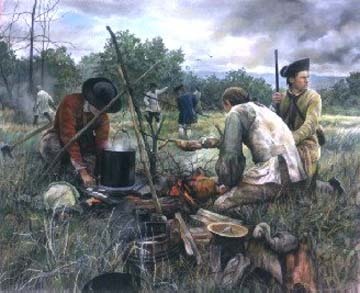 French and Indian War. Making Cordage From Plant Fibers. A Video. How To Learn Primitive Skills. I started learning primitive skills way back when I was a youngster. 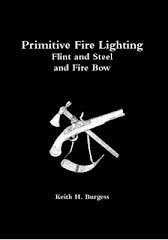 Of late several people have asked me where can they start to learn primitive skills. 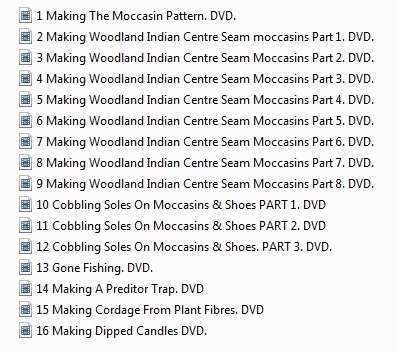 Here is an index list for my primitive skills DVDs, and the address to order from. There is also a "Buy Now" button to the left of this post. Skills List For Woodsrunner's in our Group. The Station Camp By David Wright. 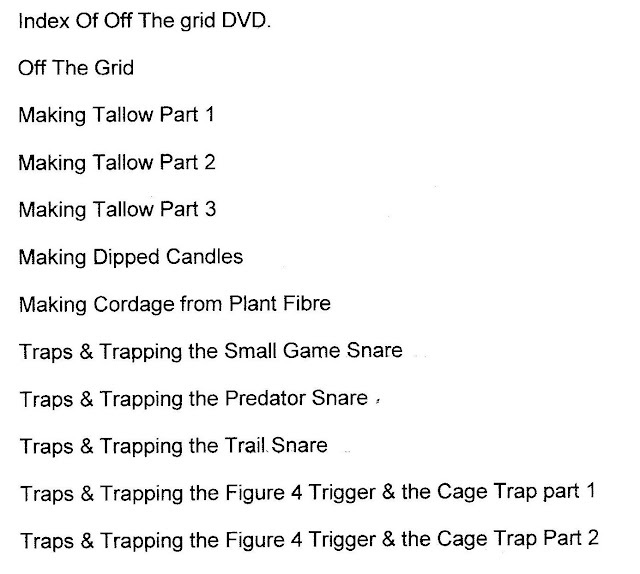 This is a list of basic skills in which I personally would expect an 18th century woodsman or woods-woman to have some experience with. 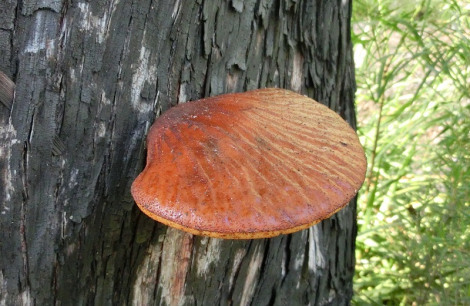 · Knowledge of native plants in the area and their uses for other than tinder and food. · Finding and treating water. Equipment Requirements For Our Group's Trained Band. 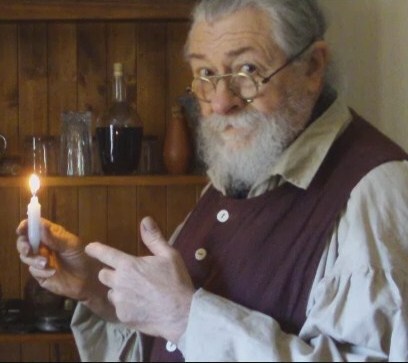 NEW ENGLAND COLONIAL LIVING HISTORY GROUP TRAINED-BAND. Victuals Well Dressed By Pamela Patrick White. (1) Each train to have at least 2 archers (each archer to carry at least 1lb of gunpowder, & 1lb of lead on extended ranging expeditions). (2) When ranging, each column to have one archer accompanying the lead scout. (3) Each column to use: lead scout with archer, a rear guard, & at least one scout on each flank. (4) Each member to maintain a space before of at least 3 paces. (5) Lead scout to lead by at least 60 paces (Dependant on environment). (6) Rear guard to trail at 20 paces. (7) Flank scouts to keep column in sight at all times if possible. (8) Guards to be posted at all stops. (9) Packs are not to be removed at stops except for toilet. (10) No person shall leave the column alone and must always remain in sight of the column. Equipment for extended ranger duties in wilderness areas. (1) Cartridge box containing a minimum of 8 cartridges. 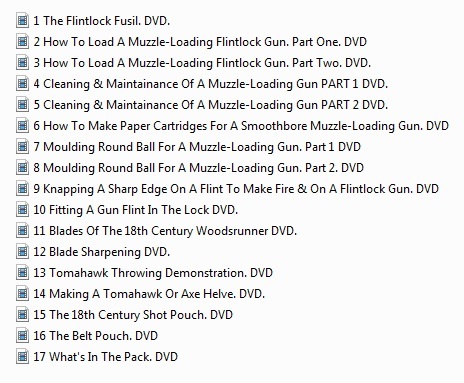 (Fusils & muskets only). (2) Shot pouch & required contents. (4) Functional firelock with hammer stall & lock cover. (6) At least 4 lbs of gunpowder. (7) At least 4 lbs of lead in ball, buckshot & birdshot. (8) At least 12 flints. (10) A good hunting/butcher knife. (12) A knapsack, snapsack or rucksack. (13) A haversack or market wallet. (14) A good wool blanket. (15) An oilcloth of suitable size to shelter one person. (16) A water bottle, canteen or costrel to hold at least 1 quart (You may need to carry more than one, depending on the area you are travelling in). (17) Sufficient tow or wads. 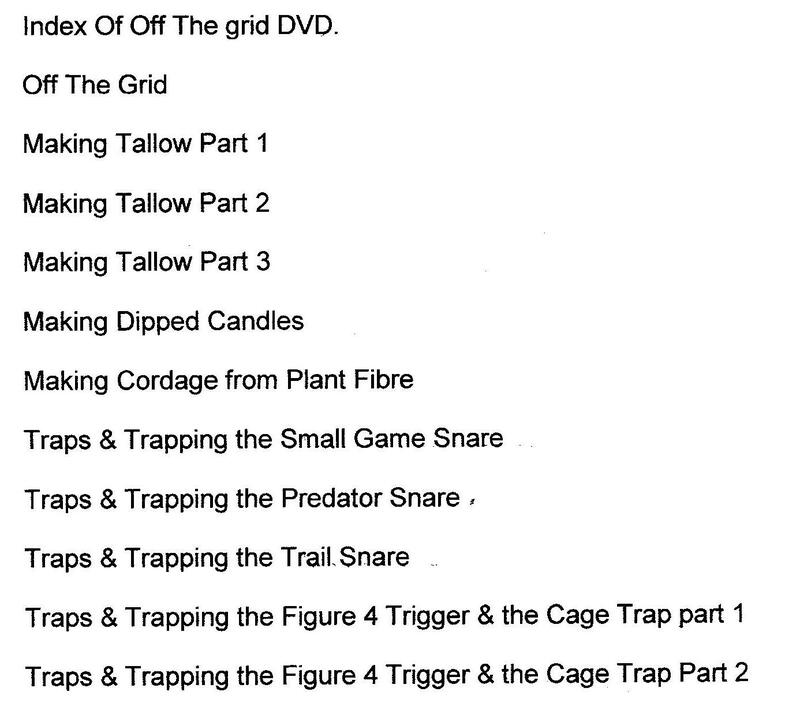 (19) Fishing kit with at least 6 hooks & 2 lines. (20) Tinderbox, flint, steel & prepared tinder. (21) Trade kettle or other. (22) Leather inner-soles & repair leather for moccasins. (23) Leather thong or cordage ties. (27) Soap & hair comb. 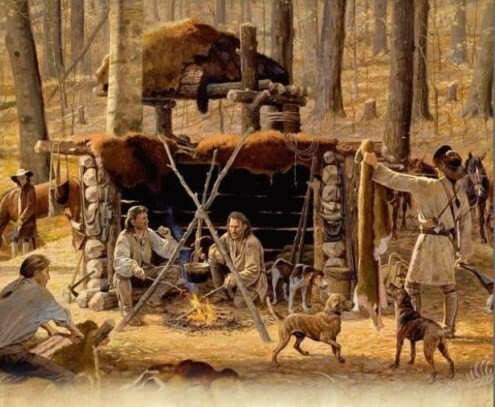 (2) Shirt ( plus spare wool shirt in bedroll). (9) Stockings or socks (wool recommended for winter). (10) Leather leggings with garters. (11) Moccasins with extra sewn on sole plus a spare pair. NOTE: Unless otherwise requested, we will carry 6 pounds of dried food, which should last approx 6 days (you may carry more if you wish, but remember; there must be some compromise between minimum weight & maximum self-reliance). 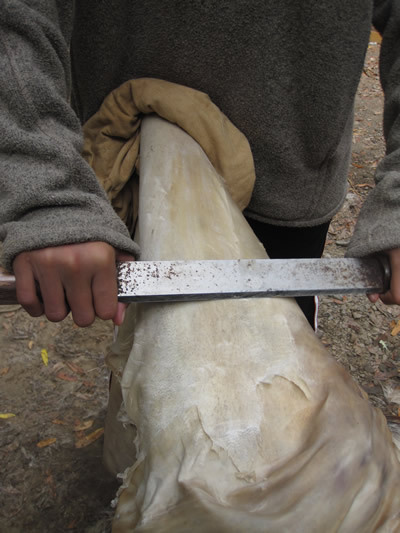 The Old Foodie: A “Barbarian” Dinner, Part 2. Australian Gun Legislation. Not For The People. Gulliver's Travels & The Gunpowder Bag. Gunpowder bags were used in the 18th century for carrying extra gunpowder, but these bags were usually contained in another pack, such as a knapsack. 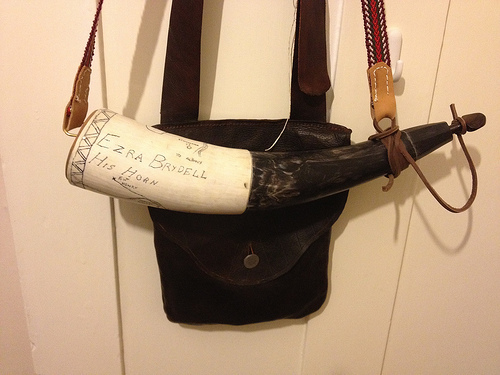 But in the 17th century it seems these gunpowder bags were carried instead of a powder horn. Have you ever read Gulliver's Travels? In that book a powder bag is mentioned, & that was the first time I had ever heard of such a powder bag, and the last time, until now. 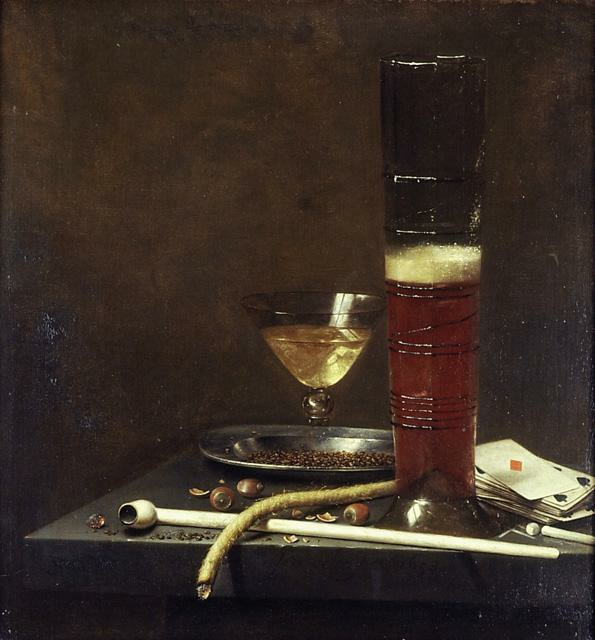 Here is a 17th century still life painting showing such a gunpowder bag. 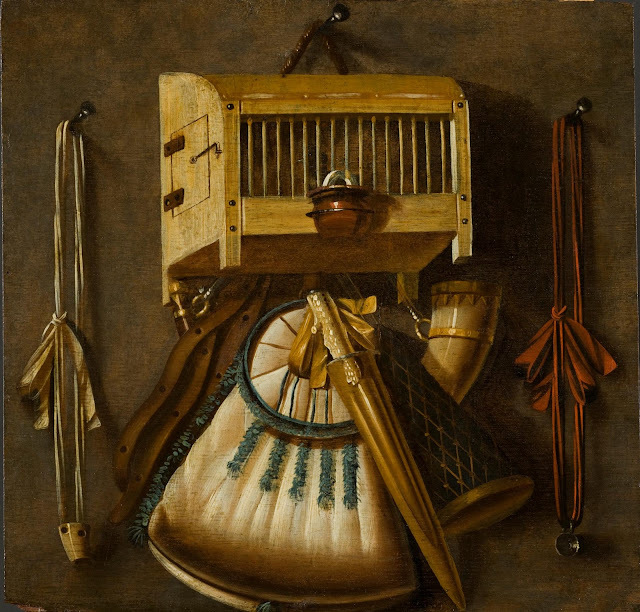 I would say that this painting shows a leather waist belt attached to the powder bag proving that this bag at least was worn at the waist and not over the shoulder. The strap may be the same, but as you can see this strap is not buckled, leading me to think that it was not simply slung over the shoulder across the chest. The Cookbook of Unknown Ladies. A Link. 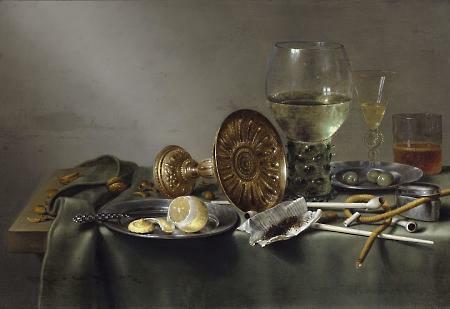 18th Century Pasties, Part One. A Link. BUZZARD BUSHCRAFT: Knapped by Man or Nature? 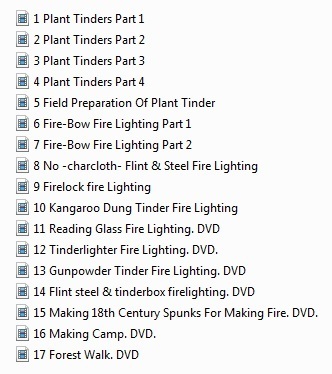 Fire Steels of a Different Kind. My thanks to my friend Nicholai for this image & the link to these other images. It is quite feasible that someone in the 18th century could still be using one of these early style strikers. 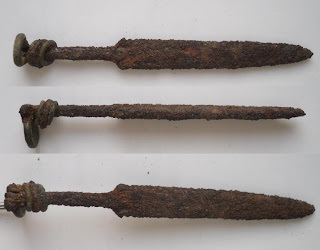 Indeed, my friend Nicholai has a steel very similar to the one shown above. Making The Slow Match. Links.